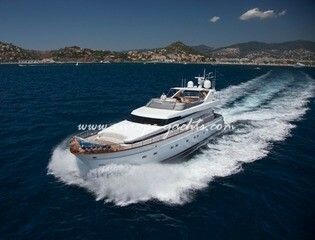 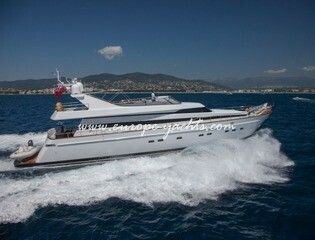 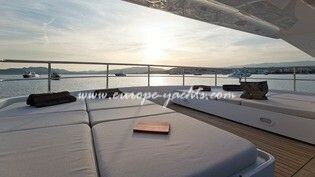 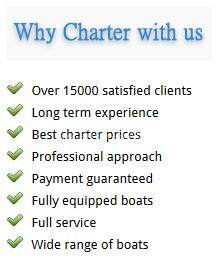 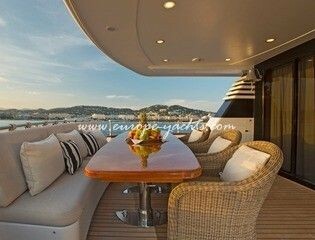 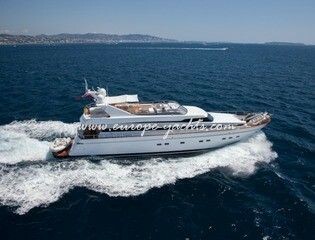 Stunning 26m Cantieri di Pisa, LEILA LINA, is a perfect yacht for luxury Mediterranean holidays. 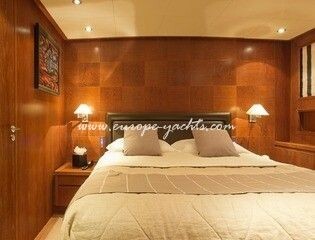 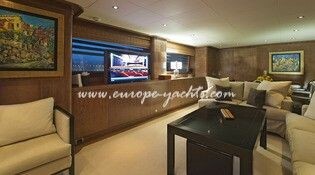 With her stylish wood interiors and bright materials made by ALCANTARA, she comfortably accomodates 8/9 guests in 4 cabins. 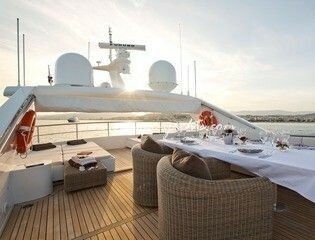 The spacious sun deck is perfect for sunbathing and dining on sunset. 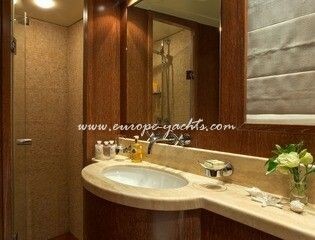 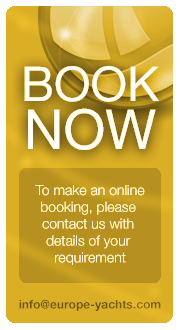 A wide range of water toys, including a brand new seabob, will ensure all guests enjoy their time at sea. 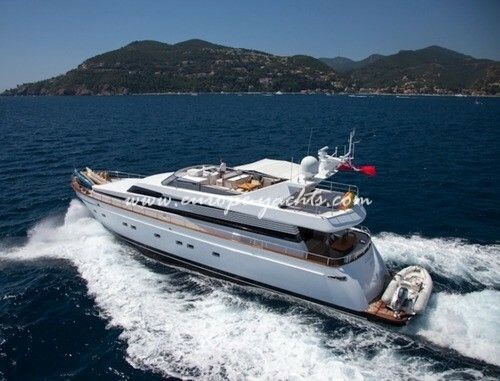 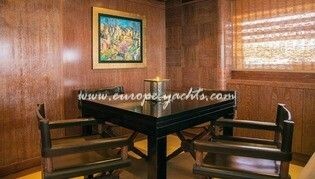 Leila Lina has STABILIZERS to provide smooth and pleasant cruising, making her stand out from any yacht of this size.